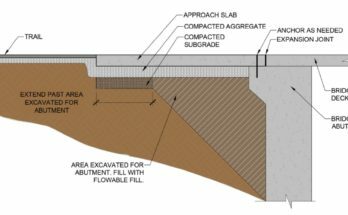 A cofferdam is a structure that retains water and soil that allows the enclosed area to be pumped out and excavated dry. 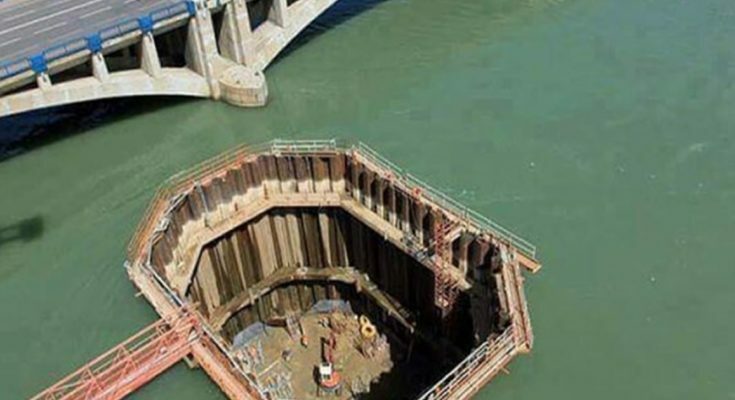 Cofferdams are commonly used for construction of bridge piers and other support structures built within water. 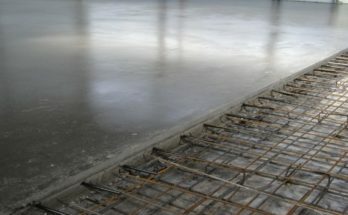 Cofferdams walls are usually formed from sheet piles that are supported by walers and internal braces, and cross braces. 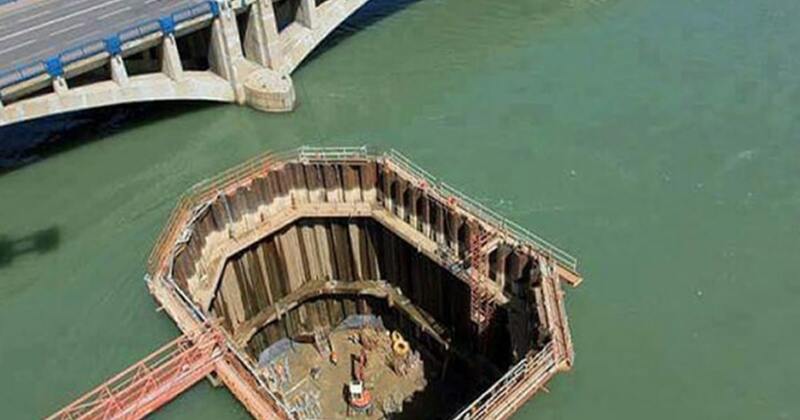 Cofferdams are typically dismantled after permanent works are completed. 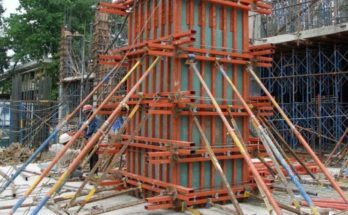 Since cofferdams are usually constructed within water, the sheet piles are installed using preconstructed templates that permit the correct positioning of each sheet pile from a barge.